Be sure you have entertainment for those long car trips over the Thanksgiving weekend, and check out some of our downloadable audio books from Overdrive. You can find popular business titles like The Virgin Way by Richard Branson, Roadside MBA by Michael Mazzeo, and Predictably Irrational by Dan Ariely. There are fiction titles as well, courtesy of Perkins Library. For those of you who would prefer a more traditional format, we also have plenty of audiobooks on CD. Some of our newer titles include Capital in the Twenty-First Century by Thomas Piketty, Creativity, Inc. by Edwin Catmull, and Haunted Empire: Apple After Steve Jobs by Yukari Iwatani Kane. Lusk, Jayson. The food police : a well-fed manifesto about the politics of your plate. Crown Forum, 2013. James, Randy. Why cows need names : and more secrets of Amish farms. 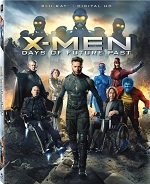 Kent State University Press, . Americans enjoy a food supply that is abundant and affordable, but whether our food supply is safe and nutritious is open to debate. Also in dispute are common agricultural practices that involve animal cruelty and environmental harm. In the U.S. food is produced by a diverse array of 2.2 million farms and ranches scattered throughout the country, including factory farms, corporate ranches, small family farms and urban lots. Two new books by faculty members in the agriculture discipline examine our food and how it is produced. On one side of the debate is agricultural economist Jayson Lusk, who has no patience for people whom he calls the food elite, like Michael Pollan and Alice Waters. 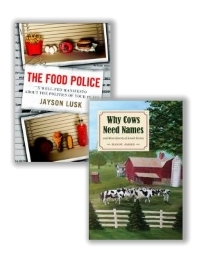 In The Food Police, Lusk casts a skeptical eye on the claims and distortions that influence public opinion and form the basis of government regulatory policy for food. In Lusk’s eyes, food subsidies, taxes and mandates designed to promote local foods or to reduce obesity are threats to personal freedom. With biting wit, Lusk presents the benefits of genetically modified foods, non-organic produce and chemical insecticides. These benefits include higher productivity and expanded food choice. A counterpoint in the debate is Randy James, an agronomist who spent his career as an agricultural agent in Ohio’s Amish country. In Why Cows Need Names, James presents an alternative to large efficient agribusinesses by using the true story of a young Amish couple in northeastern Ohio who are establishing a profitable small family farm. Beginning with a basic business plan, the family focuses on living simply with a shared goal for their farm. Animals are treated humanely as they substitute for farm equipment and provide food for the table. This is a quiet book, gently written by someone who appreciates a simple life free of car payments and electric bills, with clean spacious homes full of home-grown food and well educated children. Both of these books are recommended as engaging and informative works.